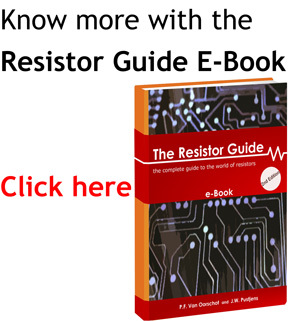 This diagram shows you how to read the 6 band resistor color codes. It is very similar to the 5 band code, with the first three bands used to indicate the significant numbers. 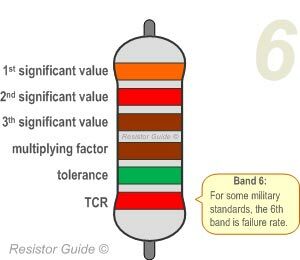 The 6th band is used to indicate either the temperature coefficient(most common) or the failure rate.